My goodness Loyd, this is superb! Fantastic timing and wonderful clarity and reflections. I'm super impressed. I'm lousy at bird photos. 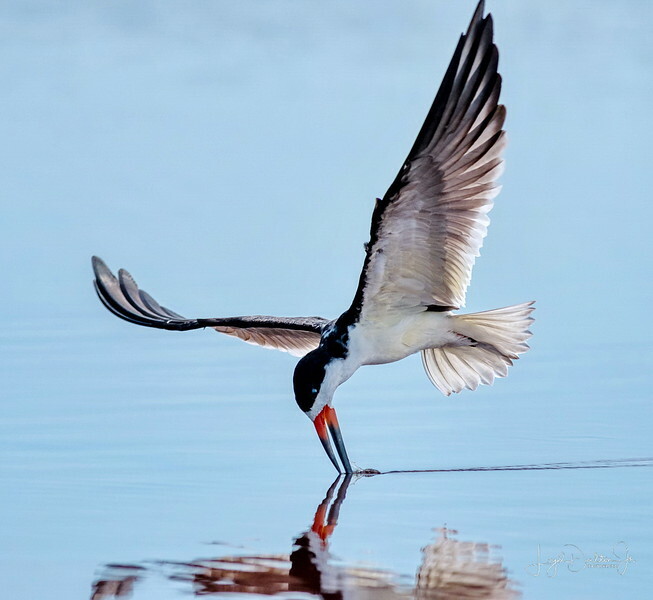 Great and unusual shot of this skimmer. The head-down posture makes for a fun reflection of it's head. Great capture and lovely reflections. Marvellous shot ... wow! Breathtaking timing on this one Loyd!! !